A light and fresh pico de gallo with all the basics - tomato, onion, cilantro, lime, and garlic! 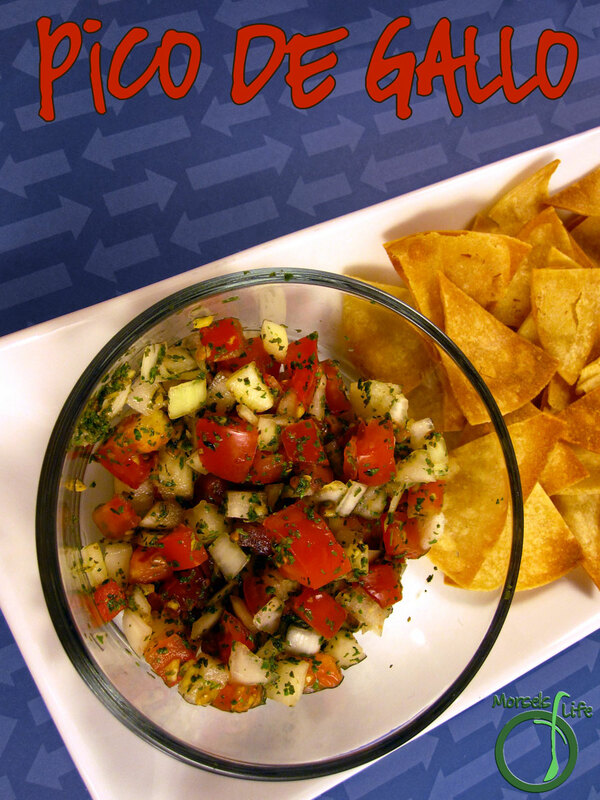 We already had some guacamole, so what better to pair with it than some pico de gallo? 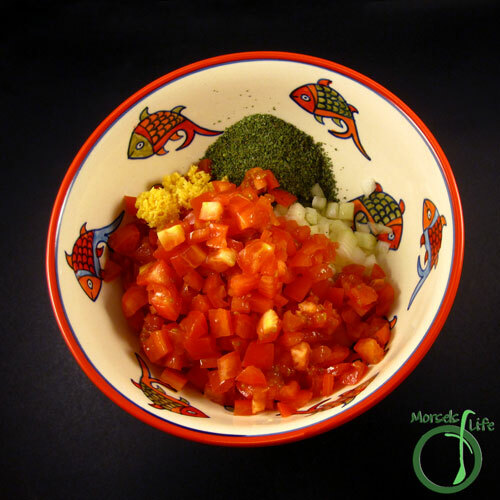 In some parts of Mexico, people refer to this salsa as salsa mexicana because the primary ingredients share the colors of the Mexican flag. 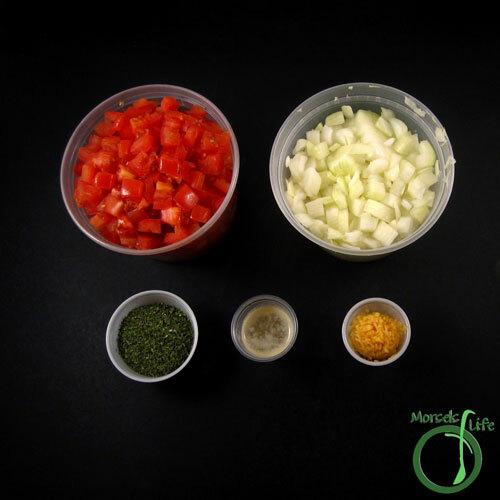 Pico de gallo is a light and fresh salsa made from tomatoes, onions, and chilies/cilantro. I wanted to further brighten the flavor with just a bit of lime, and James likes garlic in everything. Aside from those two additions, I kept this pico to just the basics. 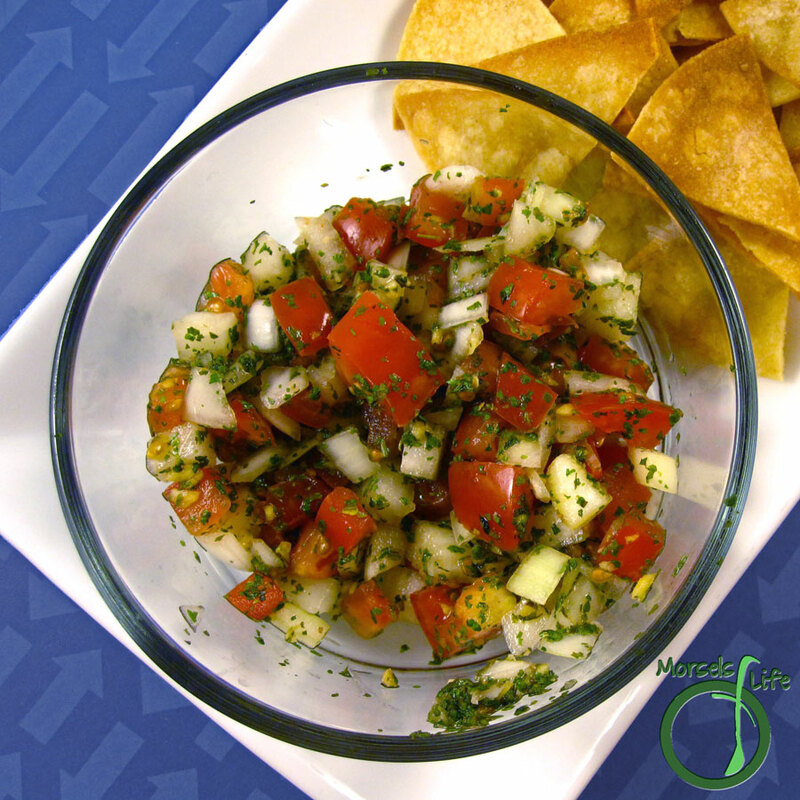 Sometimes just the basics is what you need, and this salsa is perfect for those times! I had this salsa with some guacamole I added a bit too much spice to, so I opted out of chilies, but don't let me keep you from getting spicy! 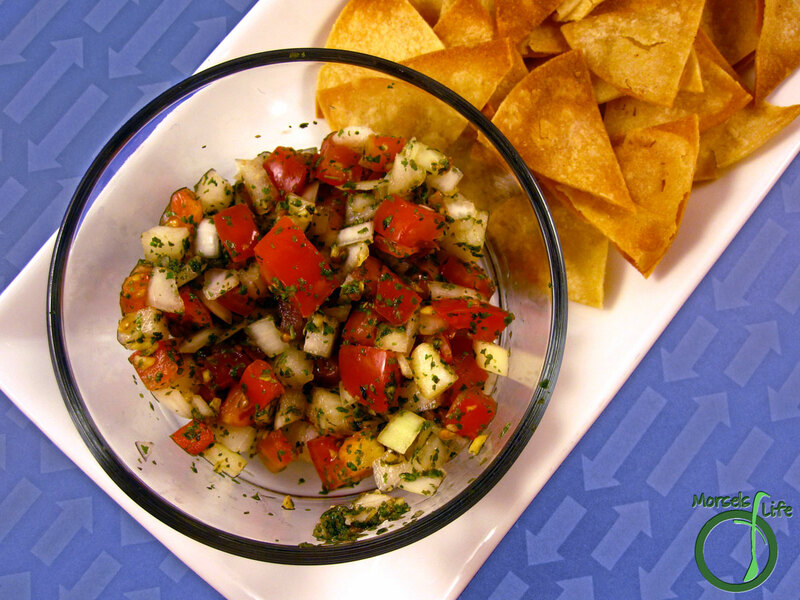 Do you prefer lots of add ins for your salsa or do you like to keep it simple? Simple, yet tasty is what this recipe is. :) Thanks for stopping by! This looks so fresh and bright! Thanks for sharing on the What's for Dinner Link up!